Right now, there are more than 858 million registered websites for users to visit, according to Tech Made Easy. This means you have a lot of competition to deal with when creating and building out your brand’s online presence. A website is an essential piece of the business puzzle, helping a brand connect with its customers and offer potential for the organization. 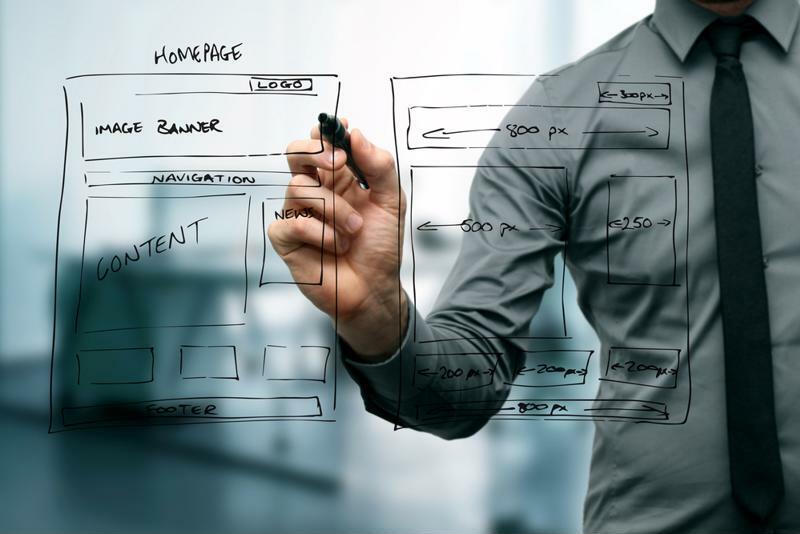 Before thinking about theme or design, determine the overall purpose and goals of the website. Small Business Trends contributor Amanda Stillwagon noted that these include defining the type of site and what it will be used for – will the platform be used for e-commerce? Is it educational? Or will it offer some other type of service? Answering these questions will serve as the starting point for the entire process – these details will guide the decision-making processes for the entire initiative. Once the website’s purpose and goals have been determined, it’s time to prioritize. For example, if the website needs to be launched and accessible quickly, it might be best to begin with a basic site and add to it later. If the website’s purpose is to provide data or educational information, what assets should be made available first? Stillwagon advised making a list of priorities to better drive the creation and launch process. The domain name will serve as the web address for the site. PressCoders pointed out that the company may want to include the business’s name or certain keywords in the domain name to make it easier for clients to find. Overall, it’s important to maintain a short and simple name that won’t be difficult for users to remember. “It doesn’t matter what SEO value you get from the keywords, you need to think of people first, and search engines second,” PressCoders recommended. The name must be registered with a leading hosting provider like Hostway in order to ensure that it remains the property of the business. Many generic domain names can be quite popular and are therefore some of the first to be used. Registering a domain name can establish credibility for the brand as well as increase its visibility online. It’s also essential to think about the features and capabilities the website will need. These will largely be governed by the site’s purpose and goals. For example, an e-commerce site will need a product catalog and shopping cart. An educational resource site may need considerable storage, a robust database and a blog. Selecting these features will help with the next step. There are more than a few solutions on the market that serve as the foundation of a website. These differ in their features and capabilities. For example, Magento is a leading e-commerce platform and offers just about everything a brand needs to open its own online store. WordPress, on the other hand, is more suited for blog-based sites. There are free tools as well as paid solutions, each providing different levels of design, support and user capabilities. It’s important to do research in order to select a platform that will be able to address all of your needs. Businesses need to register a domain name, select a platform and ensure hosting resources are in place. Another key component of website building is attaining the proper support. Often, it makes more sense for a business to select a hosting provider that can handle the equipment, expense and upkeep to host the site. When registering a domain name, it can be helpful to also examine that provider’s hosting capabilities. Hosting also comes in different levels. Dedicated hosting, for example, differs from shared hosting, although both strategies come with their share of benefits. Working with an industry-leading hosting provider like Hostway can help decision-makers understand the difference and select the best environment for the company’s needs. With the domain name, platform and hosting resources in place, it’s time to consider what content will live on the site. Again, this is primarily determined by the type of website and the industry the business operates within. Stillwagon noted that a website should include company branding and contact information. The website can also provide in-depth details about available products or services, and informative content such as that found on a blog. The possibilities here are nearly endless. It’s critical to keep in mind that websites do not exist in a vacuum – they must be continually updated and improved to capture users’ attention and provide true value for the brand. To find out more, check out this checklist and contact Hostway today.